The Red Inspectors - Are We The Red Inspectors? Are We? A spokesman for HMV has said that the high street chain is planning to step up the amount of vinyl it stocks in response to demand from customers. 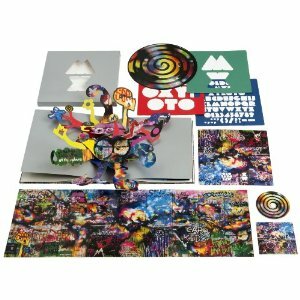 The chain saw 'disappointing' sales over Christmas, but its official spokesman told NME that they're still hopeful for the future and are planning to bulk up what they offer in vinyl stock. They also said that the stores will never turn their back on stocking physical music. Asked about what changes HMV would be bringing in 2012, the chain's official spokesman told NME: "A lot of customers have been asking us to increase the amount of racking we dedicate to music instore and we're pleased to say we'll be doing a lot more of that soon - in fact we're also planning to significantly increase our range of vinyl in quite a few locations as well." HIGHLAND — The ultimate vinyl collection includes Elvis Presley, The Beatles, Gene Autry, Ricky Nelson and Stan Musial — just ask Jim Ronat. Ronat, 65, began in the music business as a performer with The Teen Beats, a four-piece band with a radio show on WIN-U AM 1510 out of Highland from 1963 to 1964, when Ronat graduated from Highland High School. As a disc jockey, Ronat did local high school news, dedications and requests. After graduation, Ronat joined the service for three years, before working for 40 years in the mail room and distribution for The St. Louis Post-Dispatch and The Wall Street Journal, which has a Highland plant. He retired in 2009 from the company that also printed Rolling Stone and The Sporting News. 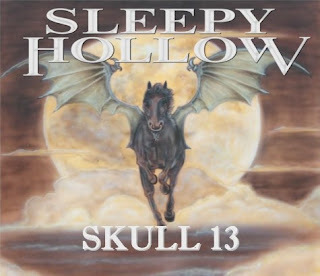 Reunited heavy metal band SLEEPY HOLLOW will release its new album, "Skull 13", on March 23 via Pure Steel Records and High Roller Records. The effort will be released on vinyl (limited 500 copies) through High Roller and on CD/DDL through Pure Steel. 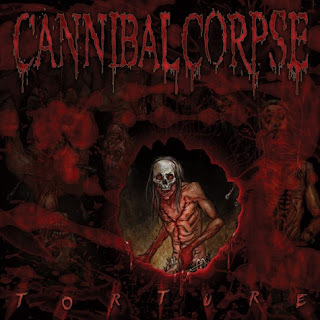 Florida-based death metal veterans CANNIBAL CORPSE will release their twelfth studio album, "Torture", on March 13 via Metal Blade Records. The follow-up to 2009's "Evisceration Plague" offers up 12 tracks of maniacally precise, soul-searing death metal. "Torture" was again produced by HATE ETERNAL's Erik Rutan at his own Mana Recording Studio in St. Petersburg, Florida as well as Sonic Ranch in Tornillo, Texas, and features the maniacal cover art by longtime CANNIBAL CORPSE artist Vincent Locke. 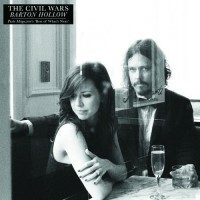 We have had at time at Shop Radio Cast keeping Civil Wars, “Barton Hollow” vinyl LP in stock, but it is available once again! This is the debut album from the duet which was released in late 2011. The album scanned over 250,000 in the first week! Legendary punk rockers English Dogs have reformed and will be launching their first North American tour since 1985. The trek kicks off Feb. 10 in Baltimore and crisscrosses the country winding up on in Santa Clara, Calif. on Feb. 23. Support on the tour comes from The Casualties, Toxic Holocaust and Havok. Released on Specialty Records in February 1957, Little Richard's single made number 21 on the US pop chart, and number 10 on the UK chart. It was composed by Albert Collins and Little RichardAs a rock standard, it has been covered live and/or recorded by thousands of artists including AC/DC, Status Quo, Wings, The Beatles, Mud, The Hollies, The Animals, Paul McCartney, Van Halen, Johnny Winter, The Flying Burrito Brothers, Peter & Gordon, Queen, Deep Purple, the Ian Gillan Band, The Everly Brothers, Waylon Jennings, Kenny Rogers, Bill Haley & His Comets, Otis Redding, The Sonics, John Entwistle of The Who, and the Detroit band The Rockets. It was also covered by Status Quo as part of their Anniversary Waltz, Pt. 1. John Lennon and Paul McCartney sang the song together during a jam session in 1974, which can be heard on the bootleg A Toot & A Snore in '74, marking the only known occasion where the former songwriting team performed together after the bitter break up of the Beatles. Also in 1957, the Cavern Club opened its doors as a Jazz club in Liverpool, England. The Quarry Men first played there seven months later and four years after, they would return as The Beatles. Paul McCartney visited the re-built club near the end of 1999 for a short set of old Rock and Roll tunes. In 1964, the Beatles played two shows at the Olympia Theatre, Paris, France, the first of an 18-night engagement. This first show was attended mostly by Paris’ “top society” members (all dressed in formal evening attire). The French press had little good to say about The Beatles in the next day’s papers, but The Beatles didn’t care, because they’d just received news that their single “I Want to Hold Your Hand” had hit #1 in the U.S., selling 10,000 copies an hour in New York City alone. In 1965, Chad Allen and The Expressions release their first album under their new name, Guess Who. A single issued from the LP was a cover version of Johnny Kidd's "Shakin' All Over" that helped launch the career of one of Canada's most successful Rock bands. In 1969, in London at Twickenham Film Studios, the Beatles finished rehearsals for their "Get Back" project, later retitled "Let It Be." In 1969, in San Francisco, Fleetwood Mac, Creedence Clearwater Revival and Albert Collins performed at the Fillmore West. In 1972, David Seville, (real name: Ross Bagdasarian) who provided the voices of TV cartoon characters the Chipmunks, died just days short of his 53rd birthday. He also recorded the number one hit "Witch Doctor" in 1958. In 1973, in Philadelphia, pre-fame Bruce Springsteen performed at Villanova University for an audience of 25 people. In 1975, Paul McCartney and Wings arrived in New Orleans to begin recording sessions at Allen Toussaint's Sea Saint studios for their 'Venus and Mars' album. They stayed through Mardi Gras. In 1980, Paul McCartney was placed in a Japanese jail for nine days after he was found in the possession of marijuana. In 1986, ABBA performed together for the last time at a show honoring their manager Stig Anderson on the Swedish TV show This Is Your Life. In 1988, Tina Turner set the record (to that date) for largest audience for a single artist when she played before 182,000 people in Rio De Janeiro. In 1988, George Harrison tops the Billboard chart with the first single from his "Cloud Nine" album, "Got My Mind Set On You", a song that was originally recorded by James Ray in 1962. 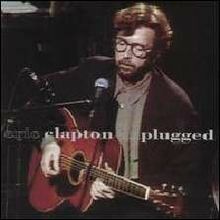 In the UK, George's version spent four weeks at number 2. In 1991, the Byrds, Wilson Pickett, Ike and Tina Turner and the Impressions are inducted into the Rock and Roll Hall Of Fame. In 1996, Jamaican authorities open fire on Jimmy Buffett's seaplane, mistaking it for a drug trafficker's plane. U2 singer Bono and Island Records producer Chris Blackwell were with Buffett, but no one was hurt. The incident inspired Buffett to write a song called "Jamaica Mistaica". Also in 1996, Wayne Newton performed his 25,000th Las Vegas show. 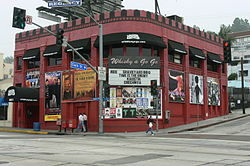 In 1999, the Whiskey-a-Go-Go in Los Angeles began a 35th Anniversary celebration with shows by Robbie Krieger, the Grass Roots, Johnny Rivers, Nancy Sinatra, Jan & Dean, Randy Bachman and Martha Reeves. In 2000, 71 year old Will "Dub" Jones of The Coasters passed away. In 2004, Michael Jackson entered a plea of not guilty in a Santa Maria, California, courtroom, to multiple charges of child molestation. Though hundreds of fans enthusiastically greeted Jackson upon his arrival to the courthouse, he was reprimanded by Superior Court Judge Rodney S. Melville for being twenty minutes late. "You have started out on the wrong foot here," Melville told Jackson. "I want to advise you that I will not put up with that. It's an insult to the court." In 2007, Pookie Hudson, the lead singer and songwriter for the Doo Wop group, the Spaniels, died of complications from cancer of the thymus at the age of 72. Hudson lent his romantic tenor to hits like "Goodnight, Sweetheart, Goodnight" and influenced generations of later artists. In 2008, an intimate Radiohead show had to be moved to a larger club after authorities intervened. 1,500 showed up for the show that promised tickets to the first 200 fans. In 2009, the International Federation of the Phonographic Industry reported that ninety-five per cent of music downloaded online was done so illegally in 2008. The IFPI, which represents 1,400 companies in 72 countries, said that there were 1.4 billion tracks legally downloaded last year, but estimated that more than 40 billion music files were illegally shared. In 2010, singer and Country Music Hall of Famer Carl Smith died at the age of 82.